You wish to come to Japan, and we assist you in making it happen. fluent in Japanese or barely a beginner. 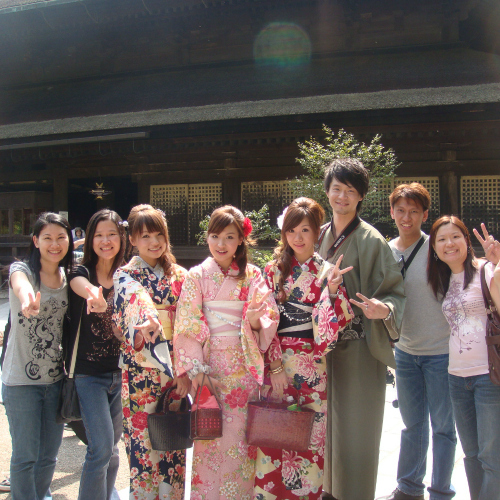 For only a short course or to live in Japan, we will tailor to your needs. Exciting times are ahead! Just fill in the application form and we will get back to you shortly. and answer any of your questions along the way. You are not limited to Tokyo, Nagano, or Kyoto. We can find you any place in Japan that you want! The most desired destination for newcomers! In Tokyo, you can see the most famous places such as Shibuya, Harajuku, Ginza, Roppongi, Akihabara, and many other places you won't find in typical travel guides. In Hokkaido, you can try out the best seafood in Japan, visit Sapporo's famous Snow Festival, and if you are keen, you can go skiing/snowboarding in Niseko: One of the best powder destinations in the world. In Nagano, you can experience the best resorts in Japan, trek around mountains, raft across rivers and paraglide across the blue skies! It also becomes heaven in Winter for snowboarding & skiing; whether you are new or a pro. In Kyoto, you can immerse yourself in Japanese tradition, see geishas in real life, & visit beautiful temples. All those activities will teach you more about real Japan and the difference between Japan and rest of the world. While all schools try their best for its students, there are some small differences that you would be thankful to know about before coming to Japan. As an example, some schools are more flexible with changing classes, study time, offering extra activities, or simply allowing you to adjust the course; whereas others are less flexible and if you end up in a class with someone you don't feel good with (whether they are a student or a teacher) you may not be able to change it. Also, some schools are more strict about you studying where others understand you also want to have fun and explore japan. Since we were students in different schools and we are following all the feedback from our students as well as visiting the schools by ourselves, we will make sure the school you choose is best for you.